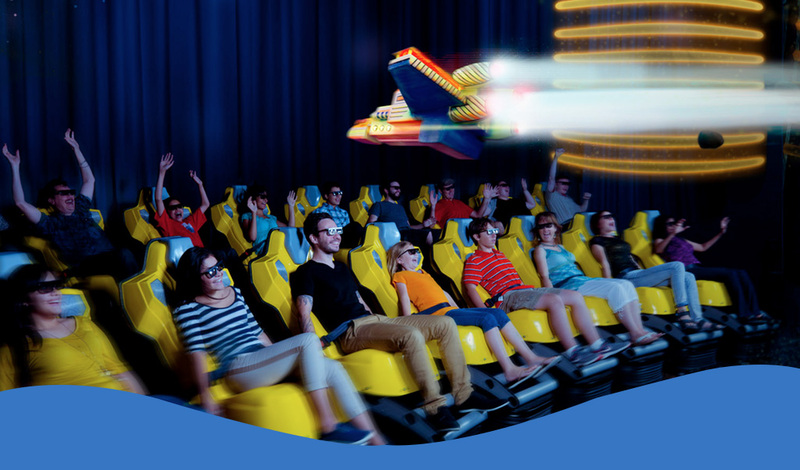 The XD Theater is a multi-seater 4D motion simulator that features high-definition motion-based entertainment films. A unique entertainment experience, the XD Theater provides 5 minutes of total immersion in the imaginary, create through the co-ordination of motion-equipped seats (providing up to 3G’s of acceleration), light and wind effects and a powerful sound system. 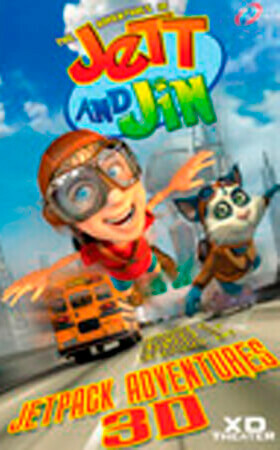 Jett, a young boy with a wild imagination, builds jetpacks for him and his cat, Jin, as they embark in wild adventures. 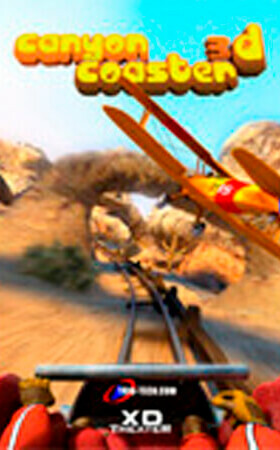 Kids will feel like they are flying next to Jett & Jin experiencing all the thrills of this great ride. Hang on to your ten gallon hats as you plunge headfirst into a dilapidated mine. Inside this hotbed of mystery and suspense you will come across the mines ghostly prospector who will not want you to venture further but your insatiable appetite for adventure will disagree. Only quick thinking and a little luck will get you out! 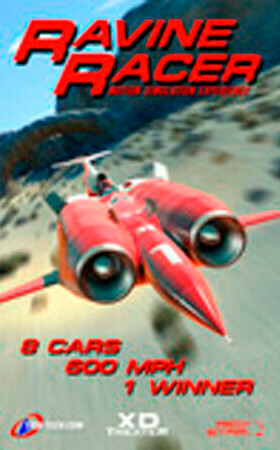 Ride through death defying canyons and ravines at supersonic speeds on a race at 600mph- through an unforgiving desert on jet powered flying cars. 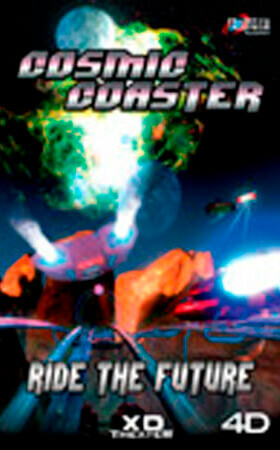 This futuristic wild roller coaster ride through space will transport you to another planet! Speed through landscapes that you’ve never seen before as you’re thrown from the highest cliffs, plummeting through to the depths of an unknown alien world. 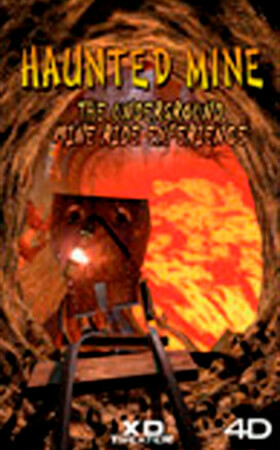 An exhilarating roller coaster adventure in the canyons and caves of the American southwest. 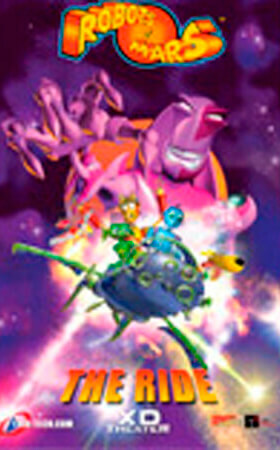 A wild and whacky ride in which you soar into a comedy adventure to help Mad Doctor, Sparky the Robot and a band of mechanical misfits to defeat the evil supervisor of Mars and save the universe!